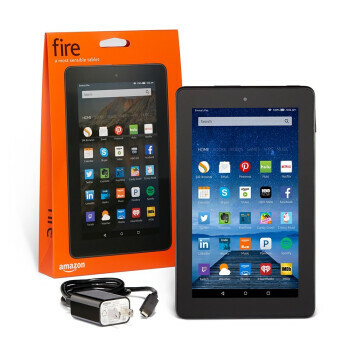 The Amazon Fire is an entry-level slate with humble specs. We find a 7-inch IPS display with a resolution of 1024x600 pixels up front, while a 1.3GHz quad-core chipset and 1GB of RAM will make up the performance part. You can take pictures with the 2MP rear camera and selfies with the VGA front-facing one. There is 8GB of storage, 5 of which will be available to the user out of the box. 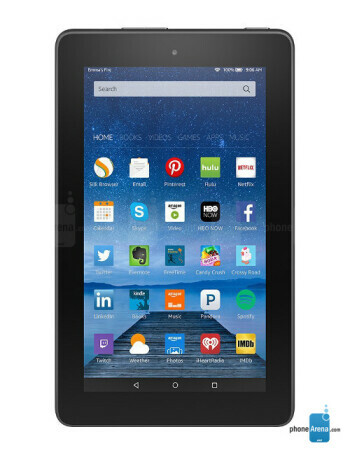 Fortunately, you can boost the memory prowess of the Amazon Fire by throwing in a microSD card inside, which can be up to 128GB in size. 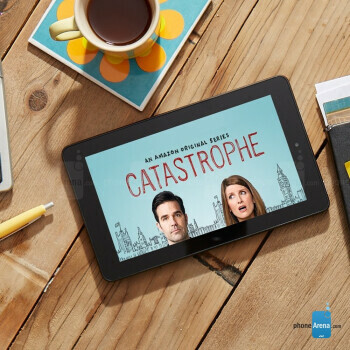 You also get unlimited cloud storage for Amazon content. 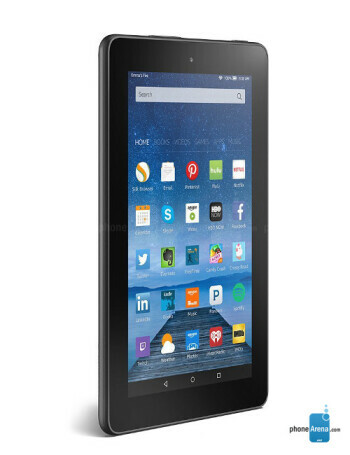 The Amazon Fire runs forked Android that is known as Fire OS5 Bellini and comes with none of Google's services or apps aboard.